north of the Sunshine Coast & 250km from Brisbane airport. 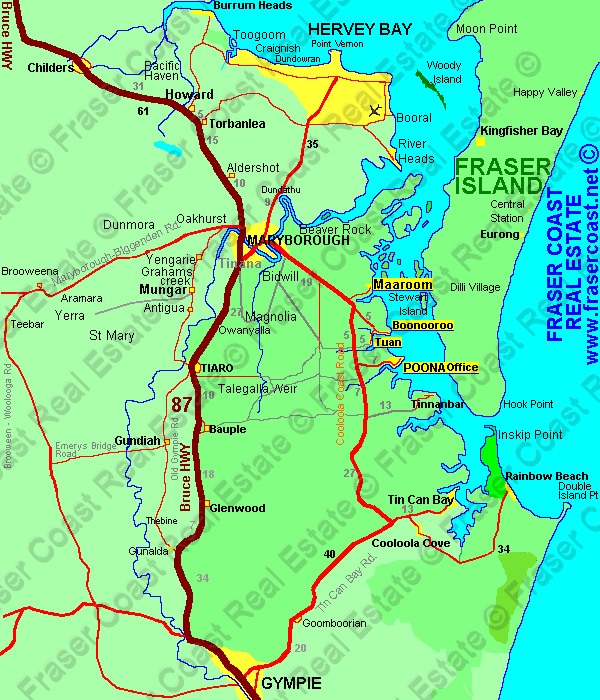 The nearest large town is Maryborough and approx* 25 minutes away and Hervey bay approx. 55min away. Cooloola Coast Road is an alternative scenic route to driving on the Bruce Highway from Gympie to Maryborough & Hervey Bay. towns nestled on the mainland opposite Fraser Island. the World Heritage listed Fraser Island across The Strait. Great Sandy Strait is popular with boating and fishing enthusiasts. who enjoy fishing and crabbing in the deep channels or in the many estuaries and tidal bays accessible from the boat ramps located at all of the villages. This waterway is haven for dugongs & turtles.